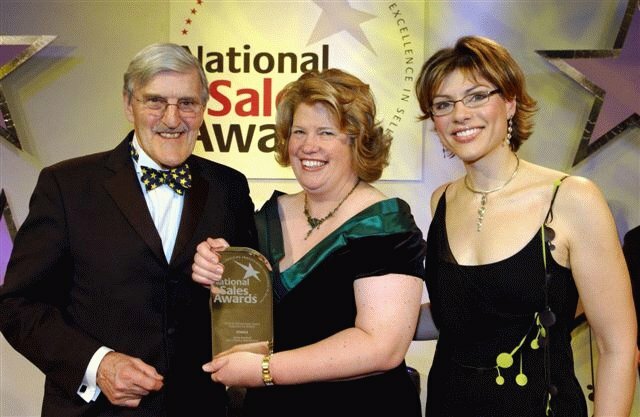 The 2007 National Sales Awards, hosted by the BBC?s Kate Silverton, were held at London?s Grosvenor House Hotel before an audience of sales professionals, VIPs and press. The Awards celebrated their 10th anniversary of giving recognition to the UK?s top professionals and teams and as silence fell awaiting the announcement of the Lifetime Achievement Award, nobody was more surprised than Sylvia to hear her name as she collected the award from Jimmy Hill. Photograph courtesy of National Sales Awards.